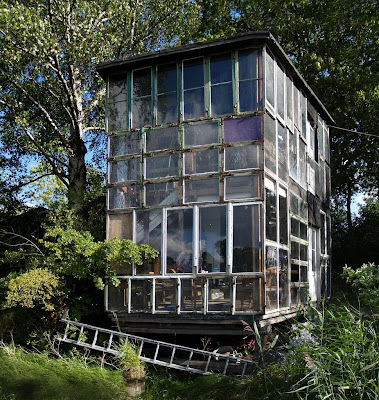 After seeing the Christiania house on Ramshackle Solid, I have been thinking about the viability of a modular steel building model to be skinned with windows. First, we need to select a window. This will be the primary building block for the structure. Something simple, standardized and cheap. 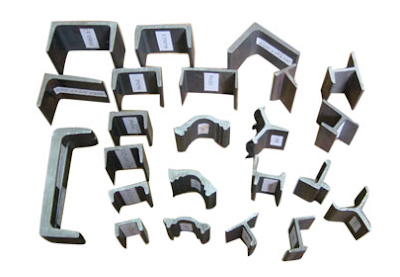 Like the Hollaender Speed Rail systems, there could be a standardized hardware kit for assembling steel channel and angle. A frame work would be bolted together. Hot rolled steel channel via Sinotrans Jiangsu Imp.& Exp. 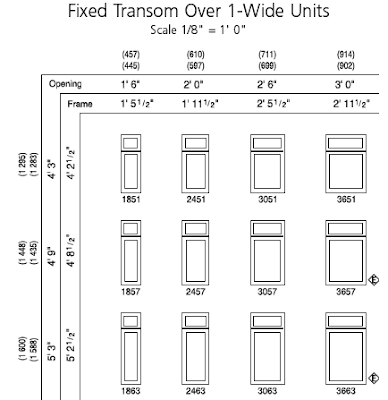 Co., Ltd.
Rather than 2"x 4"s, an individual would buy a pre-drilled, powdercoated kit of structural steel. 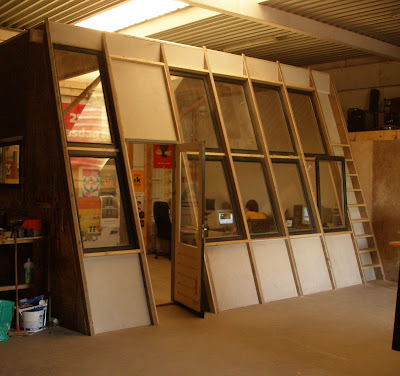 Instead of skinning the frame with traditional materials, the standardized windows would slide into the channel from the top. The windows would be stacked to create walls of glass. Clearly, this is preliminary thinking, but I think it is worth a sketch. Maybe later today I will give it a whirl over lunch.